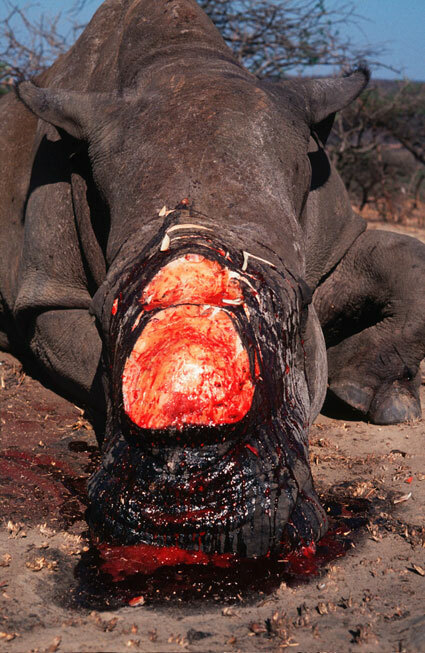 South Africa – Considering Rhino Horn Trade « What Happened to the Portcullis? South Africa is considering whether to approach the international community with a proposal to trade in rhino horn, Environment Minister Edna Molewa told MPs on Wednesday. Opening debate in the National Assembly on her department’s budget, she said this included engaging “major role players, including international and regional partners [and] potential consumer states”. Molewa’s remarks come 10 months ahead of the 16th congress of the Convention on International Trade in Endangered Species (Cites), set to take place in Bangkok, Thailand, in March next year. According to reports, South Africa is sitting on an estimated 20-ton stockpile of rhino horn; some of it in private hands, some stored by conservation authorities. The price of the horn, should the Cites moratorium on trade be lifted, has been estimated at more than R500,000 a kilogram. Molewa has declined to say how much rhino horn is held by government-managed parks and reserves.”Due to security risks, the department cannot publicly announce the amount of stocks being held by these agencies”. On Wednesday, she said her department was involved in an “extensive” preparatory process ahead of the Cites congress. “This will include discussions on whether or not to approach the international community with a proposal to trade in rhino horn.” On the rhino poaching crisis in South Africa, Molewa said 199 rhino had been killed so far this year. “We are very, very deeply concerned,” she told the House. Earlier, briefing journalists at Parliament, Molewa said South Africa would not table a document at the next Cites meeting calling for the rhino horn trade moratorium to be lifted. I strongly vote AGAINST legalizing the trade.. The SA Government should just SHOOT THE BAS****S that poach Rhino IN PUBLIC.. That will surely discourage others from trying such despicable things..